Developing sore hands is one of the most uncomfortable conditions to deal with. Since one’s hands are in continual use, one is constantly made aware of the pain and discomfort that ensues due to this condition. There are several factors that could contribute to the emergence of sore hands and it is on the basis of these factors that the methods of treatment can be determined. 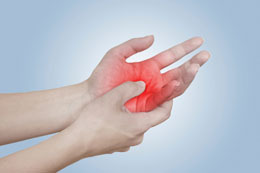 Sore hands, it has been found, are a common occurrence in people who use the computer for long hours. Similarly, this condition is also known to make way for pianists, violinists, manual laborers, hairdressers, sculptors, artists, dentists, and typists. Basically, any profession that requires one to use their hands excessively and constantly puts people at risk of developing soreness in their hands. 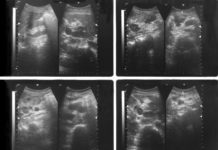 Along with that, the emergence of this condition during pregnancy and menopause is known to be quite common as well. One can also develop sore hands and feet as a natural postpartum and postnatal effect. If one suffers from conditions like arthritis, obesity and broken bones in the palm or wrist, or has joint pain – he or she may develop this condition as well. Another factor that needs to be considered is that the emergence of these symptoms could also mean that one is suffering from a condition called carpal tunnel syndrome. This condition comes about when the median nerve of the wrist is inflamed due to thickened ligaments over the nerve and/or due to repetitive movements. Medical conditions like menopause, obesity, and diabetes as well as pregnancy could put one at the risk of developing carpal tunnel syndrome. It is common to develop a soreness in hands and fingers when you repeatedly grasp something with your hands or bend your wrists. This leads to a lot of muscle pain. It has also been experienced that one’s hands could be quite sore in the morning, immediately after waking up. 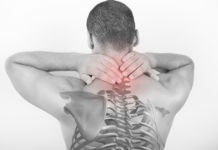 But it has often been found that after a few minutes of any activity which involves movements, the pain and discomfort goes away and one is free to carry on one’s everyday activities. Aching hands. Either a dull ache or a more constant, pronounced ache. Hands turning itchy and clammy. Hands and arm muscles turning stiff and sore, such that one cannot lift or carry an object for long. Heaviness and stiffness in the upper arms and shoulders. There is joint swelling and thickening of the arms and hands, as well as general arm pain. There are certain treatment forms that you can administer to get rid of the soreness. These are the following. Massaging your hands is one of the most effective methods to relieve the pain that is caused by the same. Use circular motions to gently massage the affected areas. Do this for several minutes. This will help relieve the tension and stiffness in the hands and bring about some relief. It will also reduce the spasms in the fingers and palms that come about as a result of sore hands. Add any essential or herbal oil (like lavender) to warm or hot water. Soak your hands in this solution. This will lead to tremendous relief. It is important that you soak them for at least 15-20 minutes at a time. Continue to do this for a week or more for maximum effect. One can even repeat this exercise 3-4 times a day. Apply a hand cream after the soaking session for added relief. Keeping your hands warm, especially during the night, has proven to reduce the soreness and stiffness in hands. Slather your hands with a hand cream so that they are moisturized well enough and then wear thick gloves for the night. This will trap the heat in and help treat the soreness. Do some stretching exercises so that you can release the spasms in the fingers and palms. Here are some exercises that you can carry through. Open and close the palms of your hands for long periods of time. As a precautionary measure, do this action whenever you can, without following any fixed time. Relax your fingers by opening them out, then bending them at the joints towards your palms and then releasing them. Turn your wrists in the anticlockwise and clockwise direction for several minutes. Making use of a wrist splint while sleeping, so that there is no pressure applied to the wrist. Taking anti-inflammatory medication or painkillers to get relief from the pain. Sometimes a doctor might prescribe a cortisone injection, in order to reduce the swelling in the wrist. A surgery called the carpal tunnel release can be performed. Covering one’s hands to keep them warm during the night is a good treatment for sore hands and can even prevent the condition from making a comeback. Being aware of what sore hands feel like and how to avoid them can actually help one from being affected by this painful condition. So the next time you drive your hands around like a slave driver, think about what it’s going to do to them.